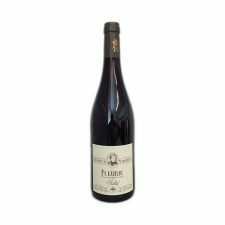 The French wines of the Beaujolais region are largely made from hand-picked Gamay grapes. It is this region where the grape finds its ultimate expression: from fruity, to fine-flavoured or intense and generous. Located north of Lyon in eastern France, Beaujolais overlaps Burgundy in the north and Rhône in the south. Over mainly granite terrain, the Beaujolais Crus form a meandering path. From south to north, Brouilly is followed by Côte de Brouilly, Régnié, Morgon, Chiroubles, Fleurie, Moulin-à-Vent, Chénas, Juliénas and Saint-Amour. Only manual harvesting is allowed in the Beaujolais region. Hand-picking is specific to the Beaujolais region.